When one first thinks of Shakespeare, their first memories with his works often come in the form of a confusing read and a paper due on Monday. The UMass Lowell Theatre Arts program disproves this boring idea of Shakespeare with their latest play “Macbeth,” which played between Nov. 7 and 11. Following the classic tale of the ambitious murderer, the play leaves its audience with more than a desire to pull out a lexicon. “Macbeth” is a Shakespearean play taking place in medieval Britain, where the Thane Macbeth receives a prophecy of himself becoming king. Spurred on by both his wife and his own desire, Macbeth kills the King of Scotland and takes his title. But politics and his own guilt drives Macbeth to kill more, all in the name to protect his new Kinghood. Soon, he is seen as less of a noble ruler and more of a deranged tyrant. One of the first things that happens upon the transition to play form is how the script’s words need to be interpreted and translated into the actors. 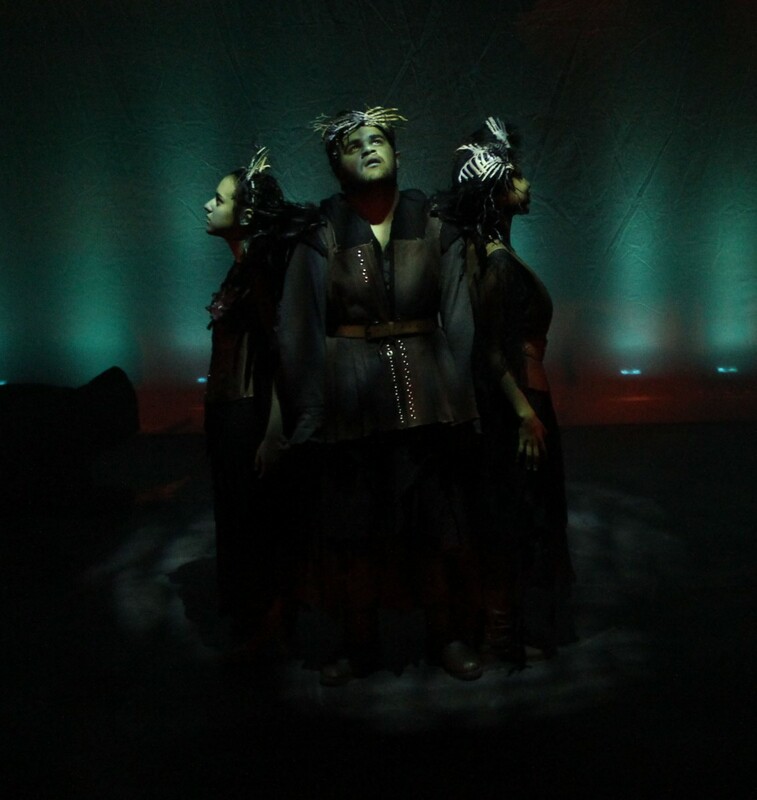 Thanks to the combined efforts of all involved in this production, the play follows through with the twisted, psychotic landscape of Macbeth’s mind. Much of the play’s success can be linked back to the actors, who play their parts with great enthusiasm and ability. Special props should go out to Matt Hayes, playing as Porter, and displaying his ability to add his own flair into the character. He really knows how to handle a scarf. An actor is only as good as his stage, and once again the UMass Lowell program delivers. Though minimalist scenic design, the use of props, costumes and positioning lent Macbeth to be more than what one could get out of an audiobook. An interesting detail was in how one costume, belonging to a secondary character, began to tear at the seams more as the play went on. Whether or not this was intentional, this small inclusion really added to the tension of some scenes. However, that does not mean the play was perfect in execution. The one distinguishing flaw that can be observed is the simple lack of props to serve as swords. This did not affect the play during the majority of its runtime, but as Macbeth is seen dueling others and fighting with small daggers like they were proper swords, one cannot help but chuckle at the absurdity. Overall, Macbeth was a delight to watch, and served as an excellent substitution to actually reading the script. There is a certain magic behind the stage, one that a simple reading cannot recreate. Shakespeare or not, this play adapted its material well. For the meager price of five dollars for student tickets, it is definitely worth one’s time.